The Caterpillar name is synomous with reliability and being able to survive in the harshest of environments with a never say die attitude. Performance and Agility, Compact design, high engine power, higher torque rise, stronger components and excellent manoeuvrability are all words to describe the R1300 as a solid performer. The R1300 LHD offers unmatched operator comfort with a world class operator station fitted with revolutionary electronics and hydraulic controls for low effort operation and increased productivity. 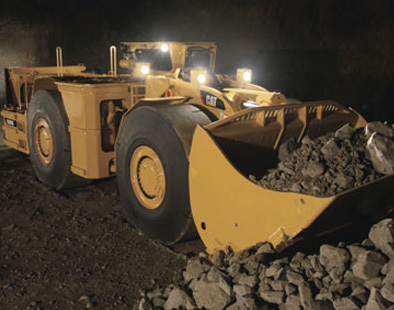 The R1300’s dimensions enable the R1300 access to the narrow ore drives and has the power and speed to be an efficient front line bogger when called upon. This adds versatility along with strength and reliability to the Caterpillar LHD and is why ARC has chosen this loader. ARC was founded in 2010 as an Air-Leg mining contractor and underground equipment hire company. © Copyright 2019 Australian Resources Contracting. All rights reserved.